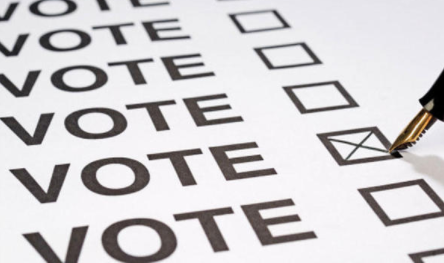 By Darren Hughes – Electoral Reform Society: If ‘strong and stable’ has been the motto of Parliament’s First Past the Post voting system, June 5th put an end to that myth once and for all. For the third time in a row, Westminster’s voting system failed to do what it says on the tin – produce a big government majority. Today the Electoral Reform Society launch our report on June’s vote: ‘The 2017 General Election: Volatile Voting, Random Results’. It shows the General Election saw the second highest level of electoral volatility – the movement of votes between parties – since 1931. People are switching sides and shopping around at astonishing levels. But millions of those people’s votes are being thrown on the electoral scrapheap. 68% of votes had no impact on the result. That’s 22 million votes going to waste. Amid in that sea of wasted votes, it’s the tiny ripples that make the difference. Just 0.0016% of voters choosing differently would have given the Conservatives a majority, while the election saw rise in very marginal seats: eleven seats were won by fewer than 100 votes. Who’s to know how the vote would have gone if people had opted for who they really believe in? This was the ‘hold your nose’ election: we estimate that 6.5 million people voted tactically, alongside surge in smaller parties standing aside. The effect of all this is totally different across the UK – and highly unpredictable. More than that, First Past the Post is exaggerating regional and national divisions: Labour secured 29% of South East vote but got just 10% of seats, while Conservatives won 34% of the North East vote but got just 9% of seats. The result of this is making the North seem ’pure Labour’, the South ‘pure Conservative’ – when the picture is much more complex. Meanwhile, the SNP continue to be over-represented in Scotland, as is Labour in Wales, while Northern Ireland voters are forced into two camps. And while the UK-wide picture seemed relatively ‘proportional’, in every region and nation where people actually live and relate to, we see seats not matching votes. For example, the Conservatives largely benefited from the discrepancy between votes and seats, winning 56% of English seats on 46% of the vote – while seeing their vote rise in Wales and their number of seats fall. The voting system is struggling to keep up with huge changes in partisan alignment. There are other ways of doing things. Through YouGov, we modelled the results under three other voting systems, asking 13,000 voters how they’d vote using the Alternative Vote, the Welsh Assembly/Scottish Parliament’s Additional Member System or Northern Ireland’s Single Transferable Vote system. We still see a hung Parliament – that’s what people voted for, after all – but there is better representation for smaller parties, far less divisive regional/national results, and, crucially, millions fewer wasted votes or tactically-cast ballots. But the current system means a diverse and shifting public are having to work around a broken two-party system. The result is volatile voting, and random results in many parts of our country. We need to move towards a means of electing our MPs where all voices are heard and where people don’t feel forced to hold their nose at the ballot box. 2017 was the third strike for First Past the Post. It’s out.